Basabdatta Sen Bhattacharya joined the Advanced Processor Technologies group as a researcher in September 2016. Her role in the current position is within the ERC funded Brain Inspired Massively Parallel Computing (BIMPC) project. Her research on this project will focus mainly on building neuro-computational tools using the SpiNNaker machine. Dr. Sen Bhattacharya is an alumni of the School of Computer Science, University of Manchester and has been a PhD student with the APT group. She was awarded the PhD degree in March 2008. She obtained her M.Eng. from the Department of Electronics and Telecommunication Engineering, Jadavpur University, Kolkata, India, in 2002; B.Eng. in Electrical Engineering from National Institute of Technology (NIT) Silchar, Assam, India in 1992. 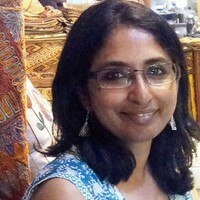 Prior to the current position, she has worked as a Lecturer of Electrical Engineering at the University of Lincoln, UK (2012-2016), Research Associate at the University of Ulster, UK (2009-2012), post-doctoral Research Fellow at the University of Bordeaux, France (2009), Lecturer of Computer Engineering and Applications, NIT, Rourkela, Odisha, India (2002-2004), Manager at the Electronics Engineering Department, Rourkela Steel Plant, Rourkela, Odisha, India (1994-1999), Junior Engineer, Design and development, Motherson-Sumi Systems Ltd, Noida, India (1992-1993).